To say that the response for this project was huge would be an understatement. When we started this project back in February, we had no idea this was going to as big as it did - and it seems to be growing bigger by the day. We've decided to put this page up as a thank you to everyone out there who has supported us and given this project a chance to succeed. 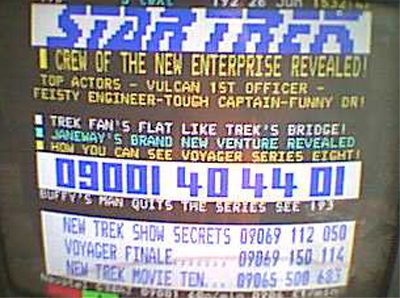 Firstly, we'd like to thank everyone over at Trek Today for their comprehensive article on the project; Sci-Fi.com for the quick and unexpected coverage on their site; Access Atlanta (which none of us here at the project saw coming) and Sky Teletext for considering us good enough to include on their teletext and hotline service. Furthermore, we would like to thank all the other sites out there who posted about us: Starland, SF Site, The Great Link. 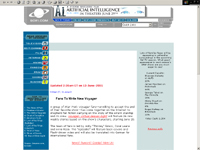 Trek News, Trekker Newsletter, Voyager Delights and Sci Fi Online, HispaTrek, Daily-Trek.de and the countless other great sites out there, including several in different languages. We're currently working on compiling a list of those sites we have found, which will be posted here at a later date. We would also like to thank certain people of the fandom for showing interest in our project and supporting it: Jim Wright of DeltaBlues, who has also agreed to write for us (thanks to Zeke, I think), Zeke of 5-Minute Voyager for offering to do up parodies of our episodes and Lisa from Trek Today and the J-Team for taking the time to track us down for an interview. We couldn't have done it without you! And finally we (producers and PR director) would like to thank everyone who is involved in the project. Without such a great gang of writers and helpers, we don't believe this project could have come as far as this! Thanks all!